This chopped salad is chock full of delicious treats including dried cranberries and candied walnuts, a wonderful choice for a late dinner if wanting something light. For dressing, whisk the chopped shallot, olive oil, apple cider vinegar, mustard and honey together in a small bowl and set aside. 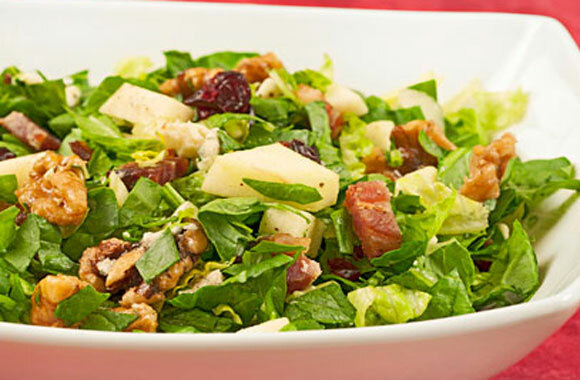 Combine the spinach, romaine, bacon, apple, dried cranberries and glazed walnuts in a large salad bowl. Season lightly with salt and pepper. Whisk the dressing again, pour over the salad and toss to combine. Add the blue cheese and a little extra cracked black pepper and toss again. Serve immediately. For glazed walnuts: In a microwave-safe bowl combine brown sugar, water, and salt; stir to combine. Add walnuts and stir to coat. Microwave on high for 2-1/2 minutes; stir and return to microwave for 15 second intervals until the sugar develops a thick, taffy-like consistency. Be careful not to overcook. 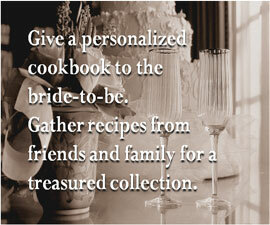 Transfer nuts to a parchment lined plate to cool, separating them as best you can; be careful - they will be very hot!